So here it is, my first post.. it's been a long time coming, and as always I've procrastinated until I can't any longer. So here it is, my beautiful hutch dresser. What better way to start than sharing my first juicy piece of restoration that proudly stands in our beautiful new kitchen. 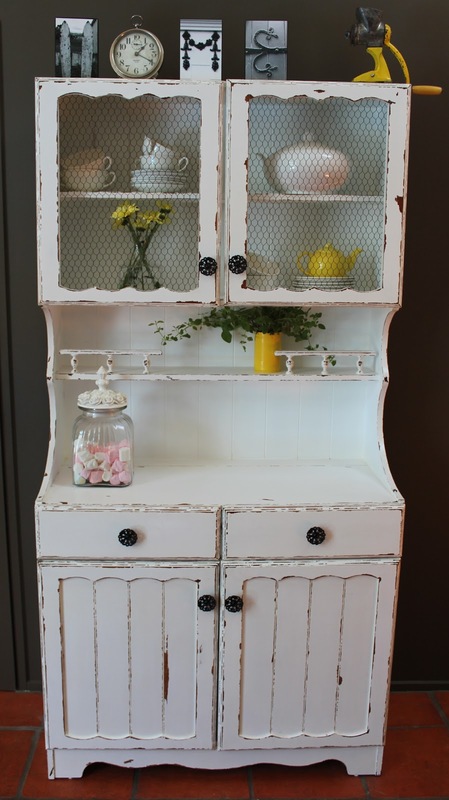 Inspired by Sweet Pickins Furniture (as has most of my work!) it is probably still one of my fav pieces to date. After I saw Sausha's stunning hutch, I knew I had to make my own, and for those of you who know me well, I rarely give up on anything once my mind is set. First I needed to find a potential piece in need of some TLC (or what the other half would call clutter in the man cave). I thought it was perfect. I bought it off trademe and knew that with all the cute detail, once I had finished with my paint brush and distressing it would be adorable. 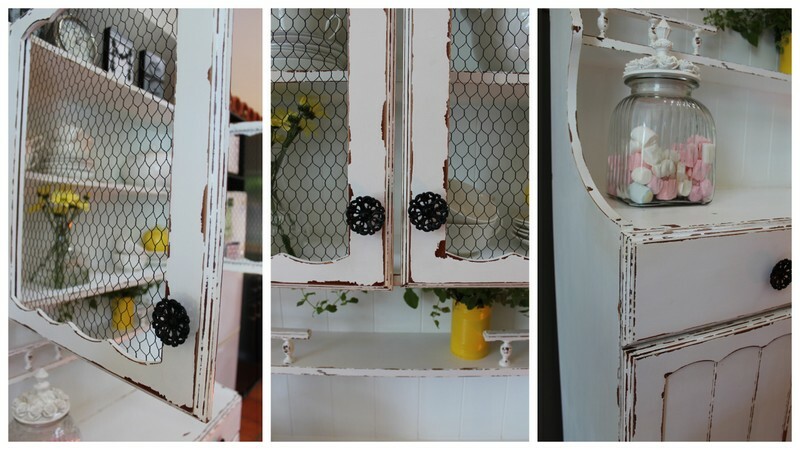 The glass was removed and replaced with black painted chicken wire, the handles had a makeover, and the paint scraper helped me create the distressed chippy look. Swoon. 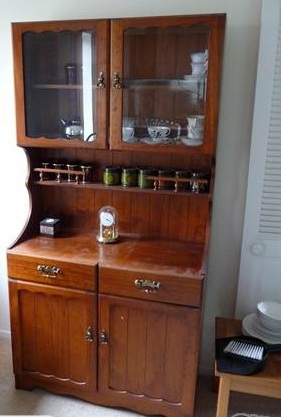 I am totally in love with my hutch dresser. Hi Aimee, I popped over to have a look at your blog, recommended by Kathy Horne. 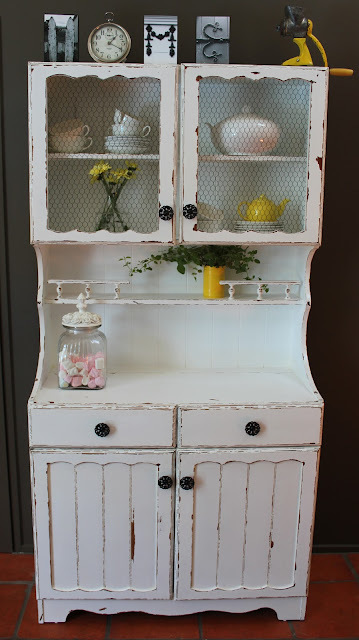 Some great ideas, love the repurposing. I have an established blog, well I have been going for just over a year and now have around 18,000 page views per month. I do a weekly inspiration post and will try to fit something from you blog into one of these posts next month. It draws quite a bit of attention so you should get some visitors. Btw Love the title of your blog. Mine just started about my art and has evolved into something far more and still evolving. Keep up the great work, blogging can be fun, hard work and sometimes down right exhausting but you make so many friends and eventually with hard work and great content it can give back to you in lots of ways.